This event is funded by DFG under the Conference grant DFG HA 4383/7-1. The schedule consists of 18 hours of lectures by participants. The program is designed to encourage new research initiatives by allowing enough free time for discussion and by having all of the participants in the same residence. We expect participants to arrive Friday February 3rd and leave Thursday February 9th. Lectures will start Saturday morning and end on Wednesday evening. Thursday February 9th. will be devoted to open discussions. The workshop will take place at Haus Bergkranz, a sports and study center run by Goethe-Universität Frankfurt located in Riezlern (Kleinwalsertal), Austria. The center is located in a valley, at the bottom of the mountain. It is equipped with a conference room with overhead projectors, screans, white boards and two chalkboards that seats about 60 people, as well as a reading room. For more than 30 years Haus Berkgranz has been hosting students workshop, research conferences and other academic activities. The relaxing atmosphere of this setting located in the heart of the montain provides an ideal environment for fruitful mathematical discussions and strongly encourages interactions among participants. If you are arriving by plane and taking the train, we recommend landing at Frankfurt airport, Germany (code FRA) or Munich airport, Germany (code MUC). If you book your ticket through Lufthansa.com, you can get a train ticket combined with your flight for only €39 each way (the standard fare through Deutschebahn is €80 each way). Alternatively, you can by the "Rail and Fly" tickets with DeutcheBahn in combination with partner airlines (including some US flight carriers). For a complete list, se the following website. 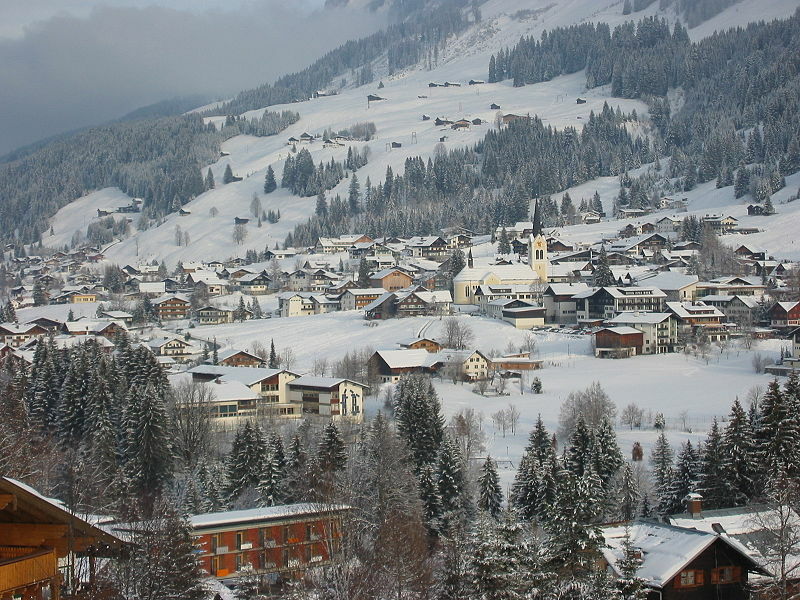 Take the ICE to Ulm, change trains and disembark at the trainstop Oberstdorf. There is a bus service every 15 minutes departing to Riezlern (get off at the bus stop Breitachbrücke). You reach the guest house after a ten-minute uphill climb. A taxi from Oberstdorf to Haus Bergkranz costs around €25. Take the motorway route Frankfurt am Main - Karlsruhe - Stuttgart - Ulm - Kempten or take the motorway route Frankfurt am Main - Würzburg - Ulm - Kempten. From Kempten travelalong the B 19 direction Oberstdorf-Riezlern/Kleinwalsertal. Go through Riezlern and continue on to Breitachbrücke where you turn right into the Schwarzwassertalstrasse. Continue along the street until you reach no. 14 on the righthand side (opposite to Hotel Montana). At the beginning of the drive you'll see the a large sign depicting the head of Goethe. Check-in time: 4:00pm, check-out time: 10:00am. Breakfast-buffer is be served between 8:00 and 9:00am. Dinner is served at 6:00pm. Times of rest are between 1:00pm and 3:00pm and from 10:00pm until 7:00am. The prices of rooms vary according to the posted rate on the House's web site. We have blocked a number of rooms and we will distribute participants accordingly. Single rooms will be given in order of seniority. Because of it's rustic but cosy furnishings, it is especially in the reading-room, the "Bauernstube" and the wine-cellar, that the guests are able to rest in a relaxed atmosphere here so well. 2 beamer (NEC NP 400 - 1024 x 768 XGA), DVD-Player, slide and overhead projectors, screens, white boards, 2 flipcharts. A PC with internet connection is available as well as WLAN.There is a modest sized blackboard, and there is a data projector (to use with a laptop). The rules of the house can be found here.